Spring is fast approaching and Three Rivers has you covered with expert advice for your Outdoor Living projects. Come check us out at the 2016 Spring Home & Garden Show Feb. 25-28th at the Portland Expo Center. This is a great opportunity to meet Professionals in the area’s you are seeking help. 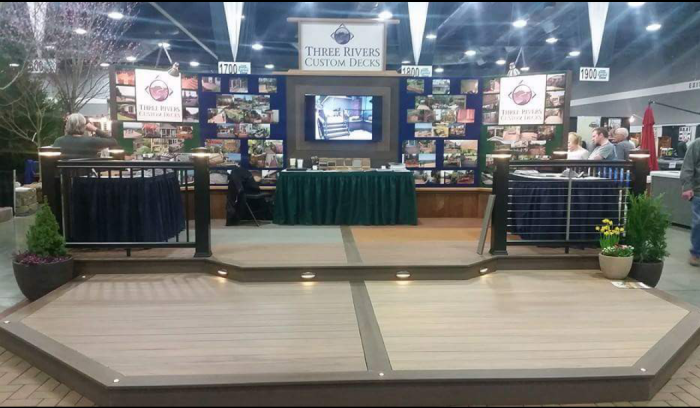 Three Rivers can be found in their new booth location #725 across from the display gardens. Not only will you find Three Rivers, but beautiful gardens that will provide inspiration for a full back yard make over. We would be happy to help in any aspect of your project and look forward to hearing from you or seeing you at the show.